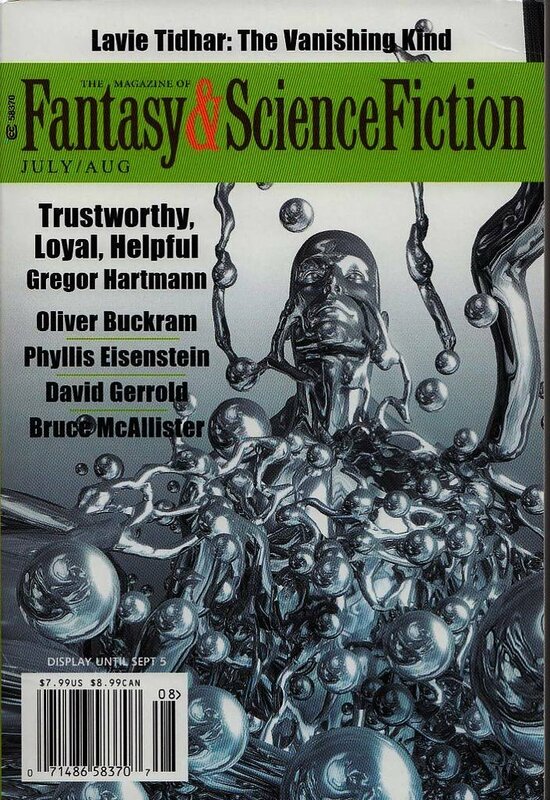 "Killer," by Bruce McAllister, appeared in the July/August 2016 issue of The Magazine of Fantasy & Science Fiction, published July 5, 2016, by Spilogale Inc. Pro: You don't accomplish your goal (of killing the angel), but becoming one is just as good (in terms of plot, anyway). It feels as though the story is trying to make a larger statement--about demons seeming good when they're really not--but it's hard to be sure. Con: The story is so short there's no way for it to answer important questions, such as whether this angel is to be trusted or not. We're not even sure if anyone died in the final paragraph.